Headland Bike fractional ads are smaller, but they still pack a punch. Although the bulk of the Headland line are fenders, a generally mundane product,there is always a way to give it a little personality. 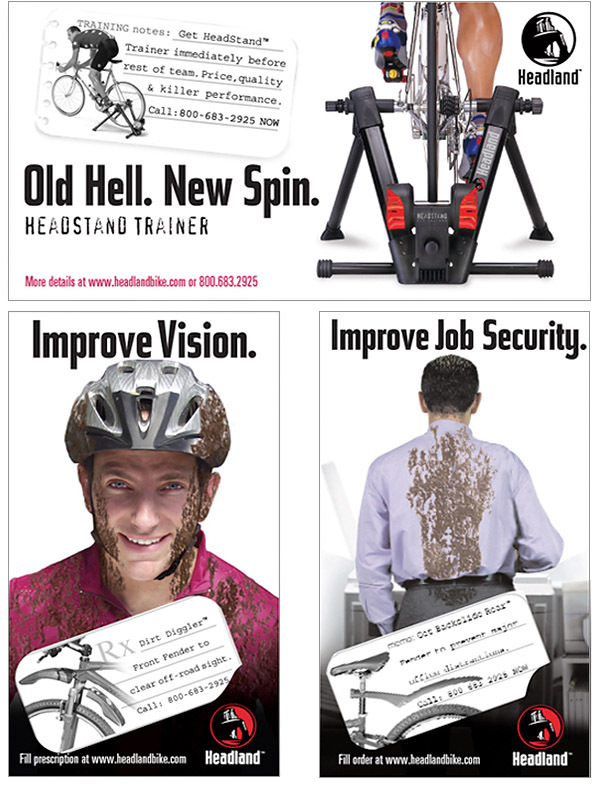 Ads appeared in cycling magazines.